If you are looking for expert comment in business, executive development, or any of our areas of expertise, we can help. 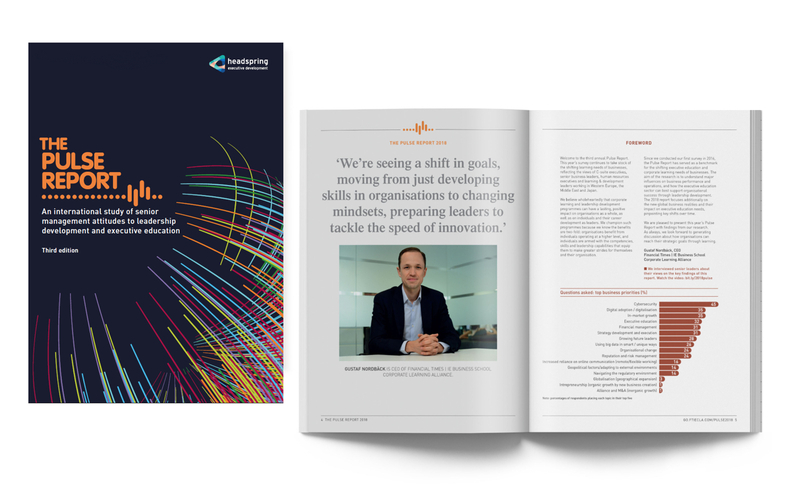 Commissioned from independent market research organisation, Research Now, the Pulse Report presents the findings of a major attitudinal study among business executives and learning & development professionals. The third edition of the Pulse Report, an attitudinal survey commissioned by Headspring, is available to download. The research was conducted among over 1000 senior professionals across multiple business sectors in Denmark, France, GCC countries, Germany, Japan, Netherlands, Sweden, Spain and UK. The report reveals a comprehensive set of opinions and concerns on business issues, and how leadership development and executive education can provide effective solutions.